Some of the best trade show marketing ideas are ones that you may not have thought of...yet. Today I would like to offer up three trade show marketing ideas that have been working for us to increase leads and business. Simply incorporating one of these tips into your next trade show or event can yield major results. It may be time consuming to fill out business profiles on show websites, create press releases and marketing kits, and send summaries to printed publications for the show, but it is well worth it. This is how people attending the show will know you will be there and where to find your booth. Don't forget to ensure your company is represented on the show app. This is a place where many brands fail to show up, so be sure to check and see what opportunities exist, such as posting press releases or even advertising with GIF banner ads. Custom reusable trade show bags that are targeted to your market will be the hit of the trade show. 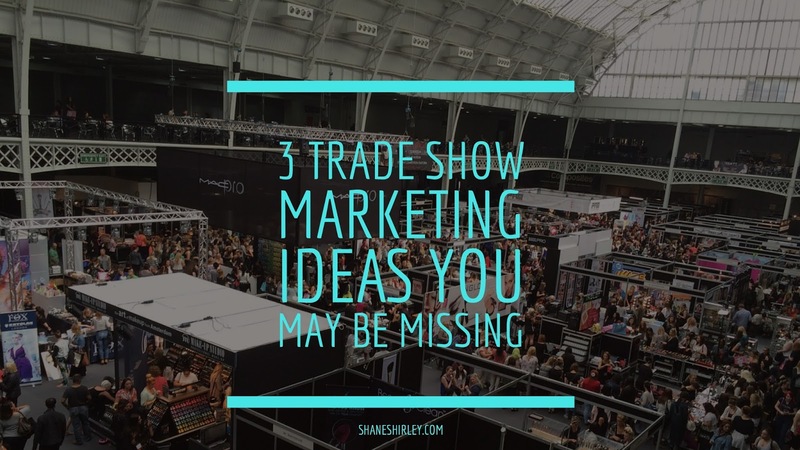 I would be remiss when talking about trade show marketing ideas if I did not mention this BIG opportunity many brands are missing. Yes, a fair number of marketers hand out reusable trade show bags at expos, but they are incredibly uninspired and totally missing the mark. You want to create the "It" bag of the show. The bag everyone wants should be yours, and it should be used as a great start to a mutually beneficial business relationship. Offer the best bag of the show that everyone wants, and you will increase traffic to your booth and in turn, you will seen an increase in leads. What trade show marketing ideas do you use that work to get leads and build profitable relationships? I would love to hear from you in the comments below or via social media. Originally posted at Factory Direct Promos. I earned more together with Lifestyle Design International compared to these extra work from home businesses may be the little time I have been included. Everything is done for an individual. All that you should perform is really take action. That's very interesting post! and this provide the helpful information about Marketing ideas. Internet PPC marketing companies in Australia is a very targeted and cost-efficient method for reaching a highly targeted audience, finding large numbers of qualified leads, and converting prospects into paying customers. Thanks for sharing.